Driving through San Francisco on my way to the 2015 Catamaran writers conference in Pebble Beach, I had a sudden impulse to drive by the two-story house I grew up in. It was only a few blocks over and I had plenty of time. As I parked, I looked up to see new paint samples on the facade and there were other signs of home care. In 2010, I visited the flat and was flabbergasted to learn that a wonderful lady had bought the building. She lived upstairs and in the lower flat, the apartment I grew up in, she ran a Tibetan Healing Center. Literally, my parent’s old bedroom, was set up with comfortable chairs for group therapy sessions! There was another private therapeutic office set up in my little bedroom, which once had yellow gingham and daisy wallpaper and light wooden shutters on the only window — the window I used to crawl out of. I was amazed that a venue of such intense sadness for me, had morphed into a healing resource for others. Anyway, I cut the engine and looked up and thought, I’m going to leave my book at the house. So I wrote an inscription to 864-XXth Avenue and tucked my card in the book and drove off. The universe is a wonderful place – full of unexpected blessings – including the note I just received from the current tenant of lower flat of 864. 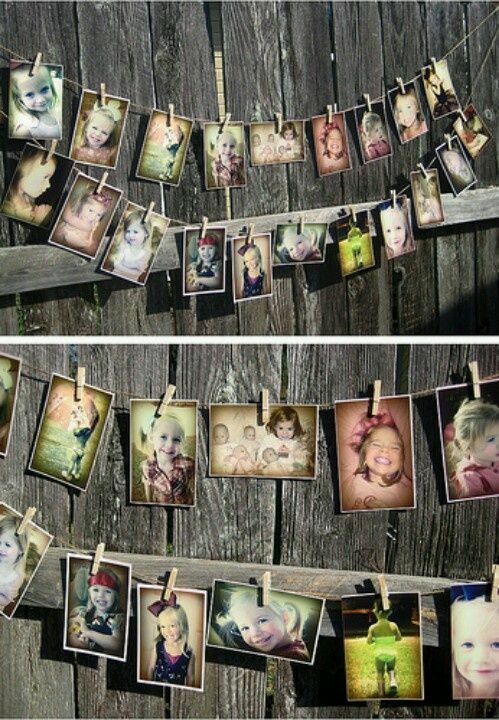 She even included an amazing photo of her gorgeous little boy. I’ve altered her note a bit to protect her privacy. What a generous and loving soul. Thank you for the thoughtful gift of your book. I came home late last night from a trip to Bali and found it on the doorstep. I was so tired from the long journey that I brought it inside and didn’t look at it until today. I honestly thought it was something that a religious group had dropped-off at my door as they sometimes do. First off – congratulations on your book! What an accomplishment. I haven’t had time to read a lot of it as I have a 10-month old little boy and spare time is not always easily found. I read enough today to understand that your childhood in this house wasn’t always a happy one and that made me quite sad. I’m sorry that you had to go through what you did here. And I’m sad that energy was once here in this space. I hope that it provides some comfort and healing to know that my beautiful son is being raised here with a lot of love. The house has been completely remodeled so I suspect you wouldn’t recognize it. For instance, the hall closet that still gives you bad memories is now the laundry room. When I bought this house as a single woman when I was 34, it was my favorite room because I had never had my own place with a washer and dryer. 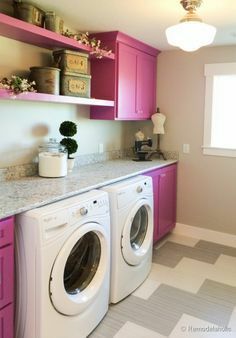 I went out and bought the nicest washer and dryer that I could find and I painted the room a light, ballet slipper pink. It’s also a favorite room of (the baby) as he likes to crawl in there and watch the clothes spin in the washer and dryer. If he’s a bit fussy from teething or something else, I sometimes sit on the floor in front of the machines and he sits in my lap and watches them. The baby’s nursery is in the sun room and it’s quite cheerful. I was sad to add blackout shades as I loved all of the sunlight but I quickly learned that if day napping was going to be successful, I needed to forgo the light in that room. (The baby) is so happy here. Before I bought the house it was owned by Gary and Jane Bell. Jane ran a healing center out of this unit for many years and they lived in the upstairs unit. The house and my unit had been blessed and cleansed many times and I have had a shaman do a cleansing here myself. If you ever want to come by and visit the house, please let me know. I can even take a walk with the baby to give you some personal time here. Thank you again for your thoughtful gift. I promise to continue to fill the house with light and love! 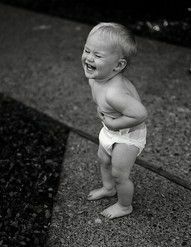 When you were little what did you think was the funniest thing? What made you laugh until your stomach hurt? When I would take a hard fall on skates and run to him weeping and showing off a fresh scrape he had this act, this routine, that would always leave me dissolved in giggles. “You FELL? Where? Show me where you’re hurt!” he’d say breathlessly. He’d scan my arms and legs with his huge hands, squeezing and waving my little limbs, asking me if this or that was broken; could I still feel it? After he determined that I wasn’t actually broken he’d demand that I take him back outside to the sidewalk in front of our house and show him the precise, exact inch of sidewalk where I landed. He was worried that if I hit it that hard I might have left a crack and the Crack Police would come and write him a ticket – which cost money. We’d get down on our hands and knees and touching the concrete with our fingers, feel around for fissures. My dad would point to a little normal city street crack and demand to know if I had broken the sidewalk, right there. Maybe we could ‘pin it’ on the little neighbor kid down the block. “His dad’s a car mechanic. He can afford to pay the Crack Police fines. Not me! Not this week!” my dad would exclaim dramatically. The routine went on and on until our giggles attracted a little knot of neighborhood kids to help us study the cracks in the sidewalk in front of our house. My father wasn’t worried about little hairline cracks, but big divots that collected dirt and allowed weeds to grow – that would be trouble. My father had a knack for turning childhood upsets into funny adventures. When the gold fish died we held a New Orleans funeral for it, opening umbrellas in the house and parading down the hall behind him holding the fish bowl up high then pouring it dramatically into a flushing toilet. Then we’d all applaud poor dead Leon on his way to Ocean Heaven. My dad and I wondered aloud what flowers said to each other and why birds liked to steal penny nails. We gave inanimate objects names in order to talk about them more. We talked and giggled and used our imaginations. Kids cry. But when my dad was involved, tears quickly turned into laughter. We learned that bad things happen, but if you let the bad go, it’s natural to find something funny about it. Laughing is a choice, a habit. It’s a gift from my father for which I am eternally grateful.